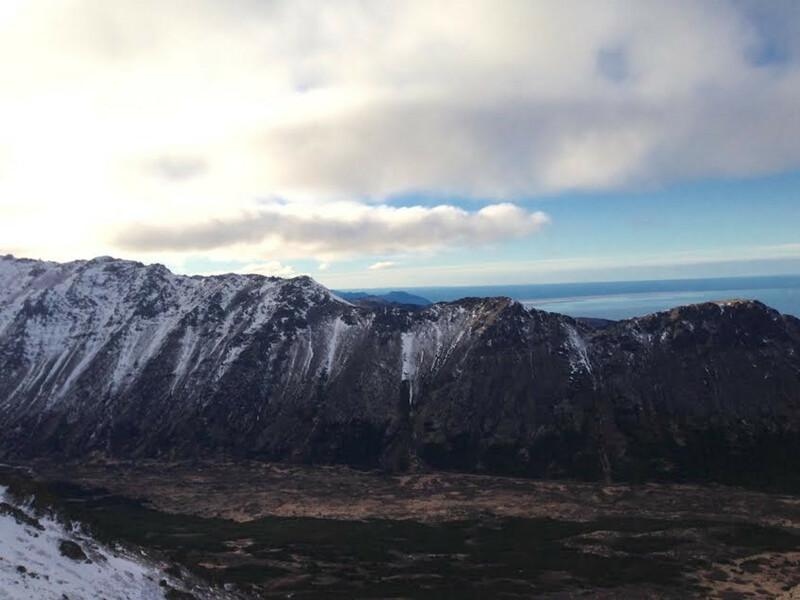 Anchorage may be at sea level, but the Powerline Trail offers access to big, rugged peaks. 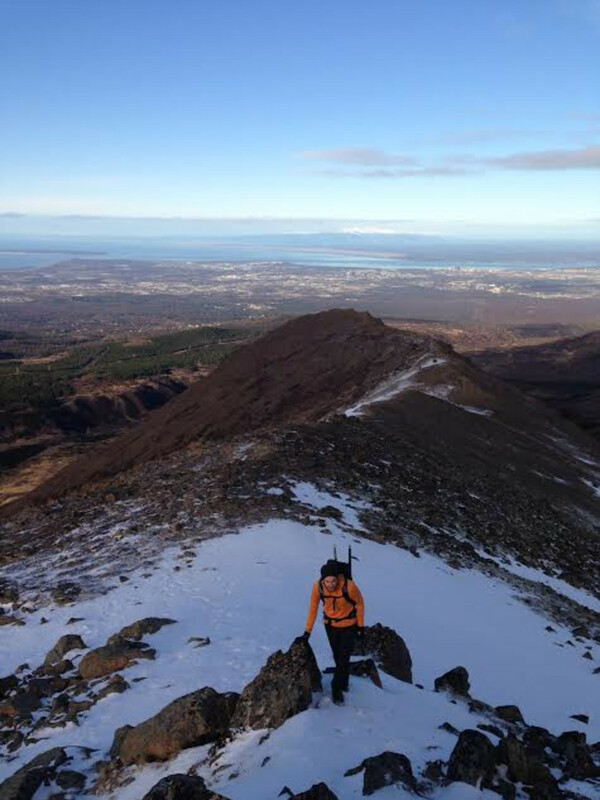 Chugach summits are notoriously chossy, but there's plenty of solid scrambling—not to mention breathtaking views of Anchorage and Cook Inlet—right off the Powerline Trail. 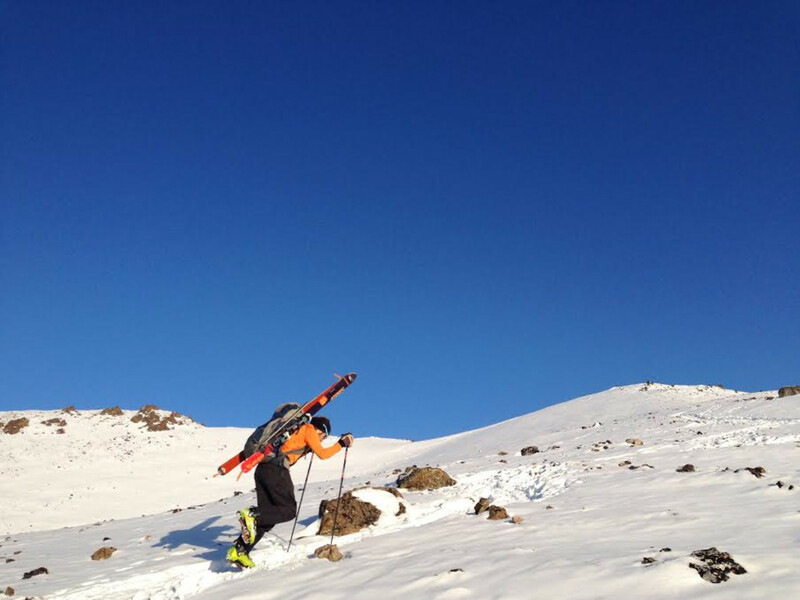 There's no shortage of ski mountaineering objectives off the Powerline Trail. The Powerline Trail offers a glimpse of Alaskan wilderness just twenty minutes from downtown Anchorage. The Powerline Trail is 14 miles each way, but you don't have to get up to the pass itself to make it a spectacular hike. It may sound like an oxymoron, but the Powerline Trail runs through some of Southcentral Alaska's most accessible wilderness: craggy peaks, high mountain passes, and stunning alpine lakes are just a twenty-minute drive from downtown Anchorage. You can hike, bike, or cross-country ski endless permutations of the Powerline Trail and its offshoots. Plan a couple of hours to take in the sights. The trail crosses avalanche runout zones in winter and early spring, and you'll want to consider wildlife, as well—moose and bears are regularly spotted in their respective seasons—but the Powerline Trail is a year-round recreation destination. Dogs are allowed in Chugach State Park, but keep an eye out for wildlife. Plan to pay the $5 parking fee (credit cards accepted at the Glen Alps Trailhead) or display an Alaska State Parks annual pass in your vehicle. Longtime Alaskans joke that the relative metropolis of Anchorage is “just half an hour from Alaska,” but the jab is truer than you might expect: in just a few minutes, you can drive from downtown Anchorage to the Hillside Trails, a network of hiking, skiing, and biking trails just above what’s affectionately dubbed “Los Anchorage.” The Powerline Trail offers access to dozens of miles of trails, not to mention jagged peaks, pristine alpine tarns, and some of the most rugged country you’re likely to find within view of a city. The Powerline Trail is open year-round and is best accessed from either the Prospect Heights Trailhead (this offers a more direct route to the Hillside system’s more northerly trails) or the Glen Alps Trailhead. From Glen Alps, it’s a gentle climb past the popular Flattop Mountain and the series of peaks behind it—including serious mountaineering objective Ptarmigan Peak. The trail winds its way past picturesque alpine tarns, browsing moose, and the occasional ptarmigan on its way to Powerline Pass. It’s fourteen miles each way, but there are plenty of perfect picnic spots between the trailhead and the pass. Some of the Hillside Trails are restricted to certain user groups, but the Powerline Trail is open to non-motorized users of all stripes, including hikers, skiers, bicyclists, and, perhaps most popular in Anchorage, fatbikers. As always, common courtesy between user groups leads to harmony—and preserved access—on the trail. The Powerline Trail and its spur trails are used both by casual day hikers and serious mountain athletes as they train for big objectives; there’s no shortage of adventures to be had in Chugach State Park. From downtown Anchorage, take the Seward Highway/AK-1 to the O’Malley exit. Follow O’Malley to Hillside Drive, where you’ll take a right. Turn left onto Upper Huffman Road, right onto Toilsome Hill Drive, and slightly left onto Glen Alps Road, which you’ll follow to the trailhead. Be prepared to pay the $5 parking fee (cash or credit card accepted at Glen Alps Trailhead) or display an Alaska State Parks pass in your vehicle.